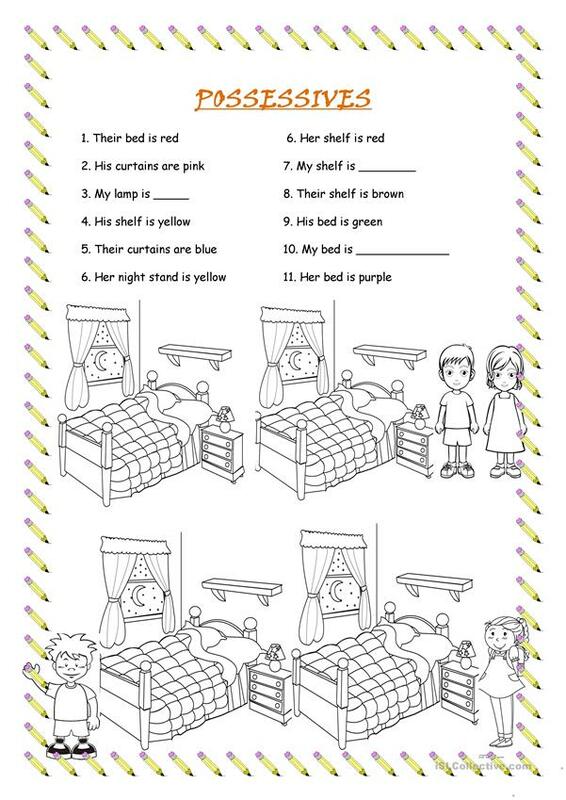 This is an activity in which students learn the possessives by colouring the pictures. Students have to follow the sentences at the top of the page and colour what the sentences ask for. The first picture does not have any reference because students should write the colours of their own bedroom. They'll love to colour while learning! The present downloadable worksheet was created for elementary school students and kindergartners and nursery school students at Elementary (A1) and Pre-intermediate (A2) level. It is a useful material for revising Pronouns: Possessive pronouns (e.g. my, mine) in English, and is useful for honing your students' Reading and Writing skills. It is about the topic and words of Rooms in the house.